This week the trivia theme at The Quarters is, predictably, Star Wars! May the 4th, and all that? Still, if you happen to be a walking wookiepedia, you could clean up! We hope you had an excellent Free Comic Book Day this weekend! Don’t forget that your local comic retailers are open even on days when they are not handing out free books and also that comic books are super cool. In case you missed it, check out our interview with local hero Jesse Bemben of Pioneer Valley Games! The sun rises on a windswept field. Two deadly armies have assembled and prepared for battle. Humans, Elves, Chemists, Orcs, Napoleon, the Avengers, Dragons, Wizards, A Painting of a Wizard on the Side of a Van and more are here to prove they’re the strongest! D&D Attack Wing, a miniatures game about making every fantasy creature imaginable fight, sounds like a fun time. Greenfield Games is holding the middle event of a six-month Story Line Organized Play, come join the fight and win fun prizes! Entry fee is $5! Four local authors will come to Forbes to read to you from their latest works! Ellen Meeropol, John Clayton, MB Caschetta, and Alex Myers will be in attendance. Insist that they do silly voices! Have you read the epic Hydrogen Sonata by legendary science fiction author Iain M. Banks? Can you read it by Wednesday? Then come talk about it with friendly people! Ah, nothing like a cool dip into the refreshing waters of the web after work, are we right? Come hang out with local web designers, coders, and generally the sort of folks who might go to a webdive. RSVP on their meetup page! Hey, if you like Joshua Yearsley’s talk at Nerd Nite, why not attend a code-in at the cooperative he helps run? We’ve been to a couple of these, and it’s a nice way to get an introduction to the co-working space and to meet other interesting people! Getting a bit tired of having played Dungeons & Dragons exclusively for an incredibly long time? Kind of hate Elves now, in a way that makes you feel weird because you didn’t think it was possible to develop this kind of malice toward something fictional? Try something, ANYTHING different at Indie RPG Night! Last time the Nerd Watch attended, we played a game about being pro wrestlers and it was a lot of fun! Star Wars! 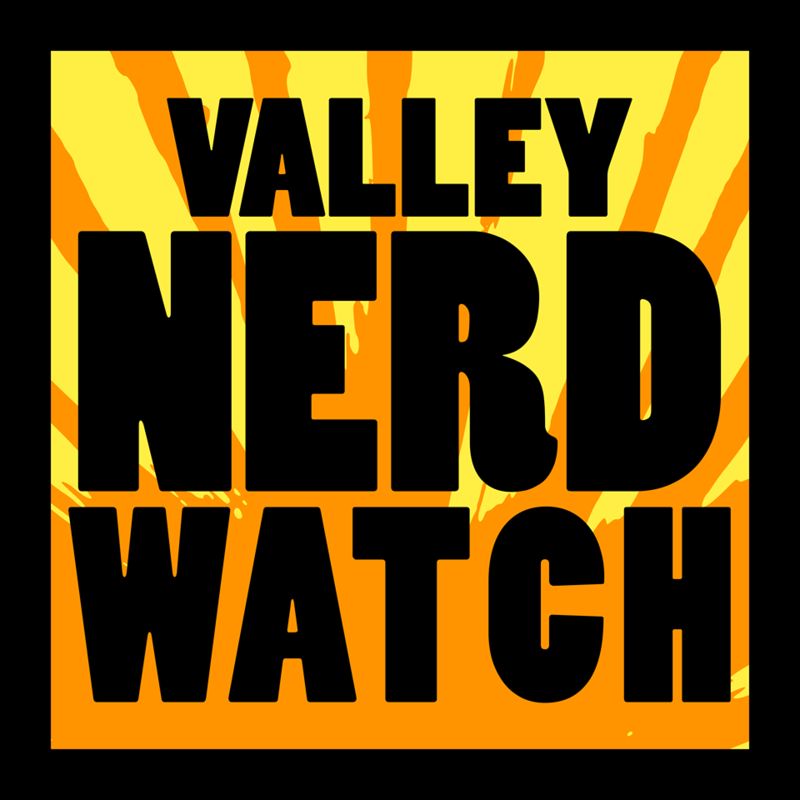 The thing we hope you weren’t planning on attending last weekend because that was a clerical error on the part of the Nerd Watch staff. Sorry about that! THIS is the weekend for Star Wars. We’re sure last weekend was also a weekend for Star Wars somewhere, but this weekend is the weekend you can actually get together with a pre-established group of people and play the Star Wars RPG at Modern Myths! So you saw Age of Ultron this past week and had one overwhelming thought: you could totally do better. Well here’s your chance! Create a blockbuster superhero spectacle using the power of your imagination! Rip the veil between worlds and wrench into existence beings possessed of power no mortal mind can comprehend! Witness the apocalyptic destruction of this reality as it is supplanted by a higher plane! Do this primarily by rolling dice and consulting a rulebook. It should be a fun time! It’s hosted by either Crispy AND Nola, or by Crispy who also goes by Nola. Either way they’re probably a great GM. LARPing! It seems like one of the more fun ways to spend a weekend. Though we’re still not actually veterans of any particular LARP, it’s certainly a style of roleplaying with a heck of a lot more potential and range than either computer or pen-and-paper RPGs! Give it a shot this weekend! Two exciting talks this week! First of all, Ph.D. candidate Kristina Curro will go into the extremely fun concept of reality as a biologically constrained illusion! Like how you always perceive your visual field as whole even though you have testable blind spots! It’s super cool, and we’re excited. Then, Joshua Yearsley of the wonderful Owl and Raven will discuss how tabletop games can make us better people. Given their track record, we expect this talk will be snowed out. As always, admission is $5. See a classic science-fiction film, preceded by some discussion of science fact! Lee Spector, professor of Cognitive Science at Hampshire College will speak about the possibility of developing an artificial brain and what that might mean for humanity. Then we’ll watch Blade Runner and think super deep thoughts about sentience!